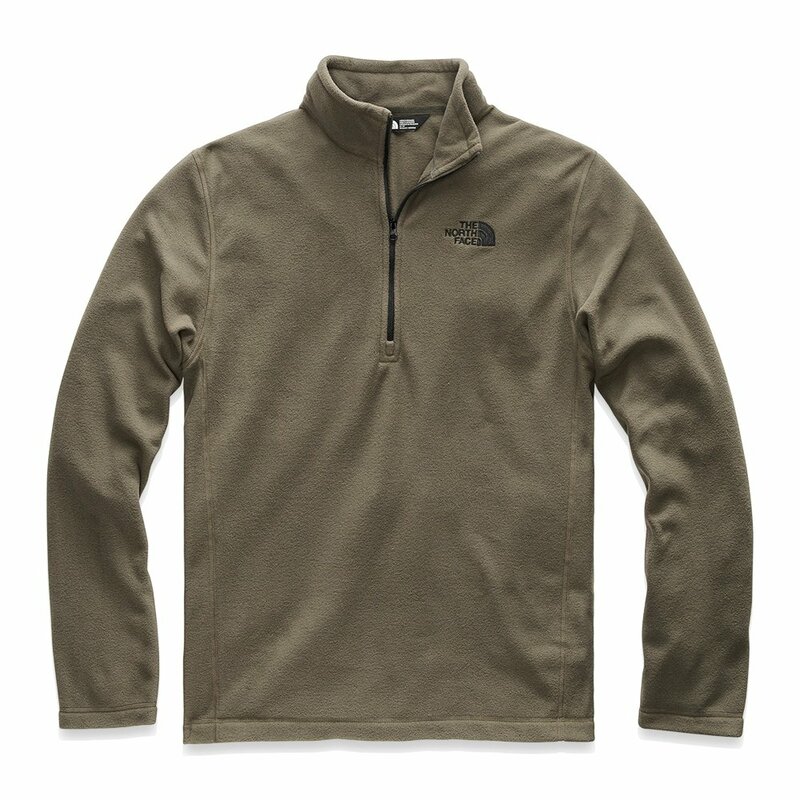 The North Face TKA 100 Glacier 1/4-Zip Fleece Mid-Layer is a versatile fleece that can be layered or worn alone. Mid-weight fleece fabric makes the TKA 100 a great mid-layer under your ski coat on cold days, and it also provides a warm outer layer for casual wear in the spring and fall. TKA fleece is breathable and quick to dry, so it's great for active pursuits. That men's fleece in SULPHUR YELLOW got the attention I have been seeking for years. I just didn't feel safe with all of those cougars around me at dinner last night. It's taken me 87 years to have this happen. I have a couple of NF jackets that I enjoy very much. I wanted a fleece pullover, haven't had one in years. I am about 5'9" and weigh maybe 165-170 and I bought a medium, as I wear a medium in most clothing. The fit of the sleeves are long and the pullover is very baggy. I'd love to try on a small but there aren't any NF retailers local to me so I am stuck with the one I have. I use the product when it is cold and I have to go to school. I bought one color of this fleece a few years back and just bought another in a different color because I liked it so much! This is a great pullover. Stylish, warm, functional. The fit is perfect, wouldn't change a thing! Going to buy another in a different color. High quality at a fair price! Looks great with jeans and so comfortable! Would definitely buy this item again. I would buy this item again & reccomend to everyone! My boyfriend wears it all the time, to dress up or just a lazy day this sweatshirt suits both needs. Looks great with both business casual and every day wear. AWESOME!! Generally we shop the store. Thus time we purchased from the online store. I recommend this to anyone.